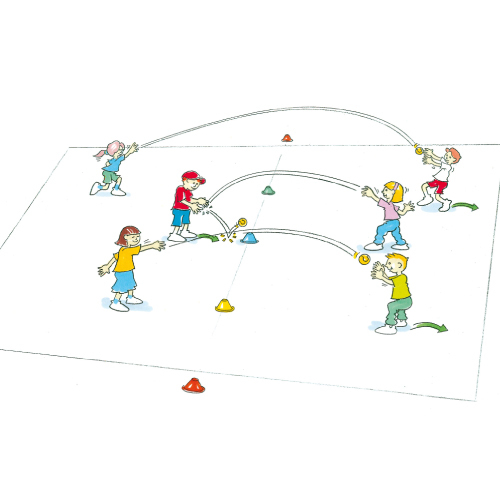 Pairs fly balls (a fly ball is a batted ball that is caught on the full) is a fun cooperative activity that supports players to develop the fundamental movement skill of catching. On your signal, players throw fly balls to each other for 30 seconds. At the end of 30 seconds, the player with the ball moves to form a new pair. How can you increase the number of successful catches within the time limit? What do you need to do with you non-glove hand to make sure the ball stays in your glove?